What Are Your Favorite Oculus VR Games? If you’re new to having an Oculus, chances are that you’re looking for a new game or two. The technology behind these apps is truly incredible and we are living in a day and age where great leaps are made each and every day towards creating even greater and more interesting content. At Clovr Studios, we are committed to doing the same. There are some amazing apps for VR devices around these days and we love seeing what other developers come up with. What are your favorites? From Fruit Ninja VR to The Mage’s Tale to Star Trek Bridge Crew to Batman Arkham VR, there are plenty of great games to try. We have another one that we think you should try and it’s called Apollo Slots VR. The team at Clovr Studios put a lot of work into creating an awesome casino experience and we’d love if you’d give it a try! Keep reading to learn more. If you haven’t considered doing some gambling in VR before, this is the place to start. When you’ve just made it home from a long day of work, there’s nothing quite like kicking back and winning big with a bit of virtual gambling. A casual simulation game, it presents you with fast-paced slots that are typical of gambling in Vegas. Apollo Slots VR is sure to become a go-to 3D VR app in your collection. If you’re looking for the best games in the Gear VR app store that don’t require you to be online to play, look no further! As the only offline slots game in Gear VR, you don’t have to worry about having an internet connection. That means that you can play any time and anywhere, ensuring that the fun never has to stop! It really doesn’t get much better than that. Compete with your friends to get to the top of the leaderboard and earn achievements to start leveling up. Just like it’s fun to make a friendly wager with your loved ones in real life, you can challenge your friends to see who can win big with Apollo Slots VR. Trust us when we say that a bit of friendly competition is an absolute blast! If you’ve been looking for new VR apps, why not give Apollo Slots VR a try? Click here to download it and be sure to let us know what you think! We’re proud of our efforts and we think you’re going to absolutely love one of the best gambling apps for VR. 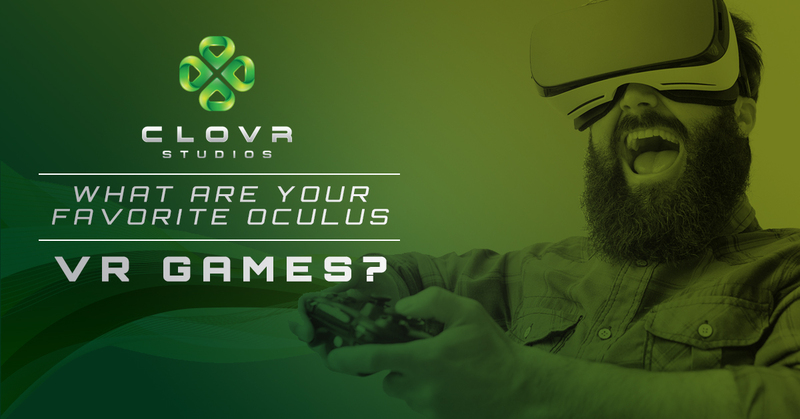 What’s next for the team at Clovr Studios? We can’t reveal that quite yet, but trust us when we say that we’re working on a game that we think will absolutely blow you away. Stay tuned to get updates and see what our team is up to next. We’re excited to share it with you!